What is the “Online Advertising” license for? At the moment we are experiencing a whole new era in Production Music. Twenty years ago, pre-cleared licenses had their main market in providing music for commercials broadcast almost exclusively on TV or in the cinema. Today, the focus has shifted dramatically to online usage in recent years. This does not include missions in short commercials, such as pre-, mid- or post-rolls. Especially viral videos make up the bulk here. Content marketing in the form of small video clips still needs (fortunately, ;-)) music as a important background element. Applies to all social media platforms, including Facebook, Instagram, Youtube, Vimeo, etc. The own website is of course not excluded. 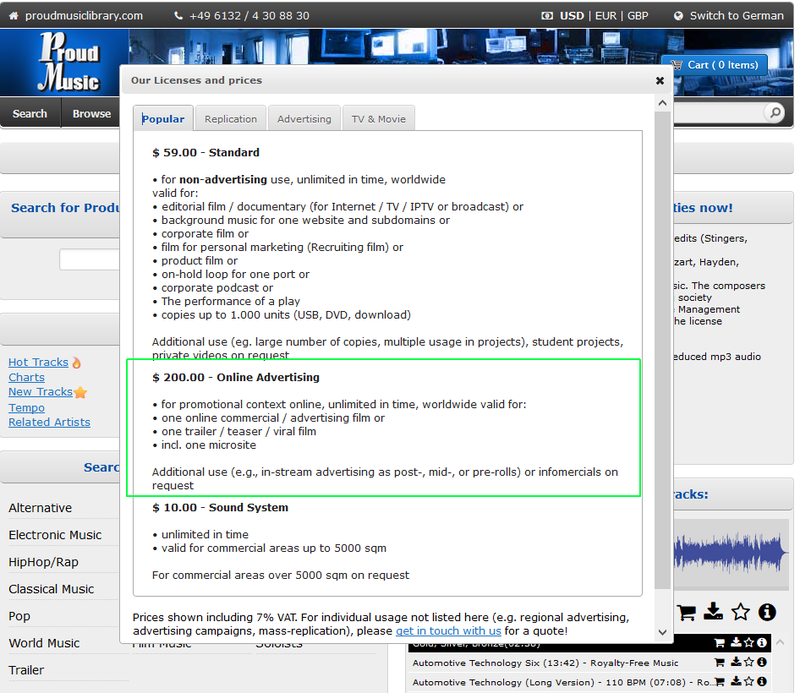 Only additional uses (e.g., in-stream advertising as post-, mid-, or pre-rolls) or infomercials are not covered by this license. Archive music is also known as stock music or production music. For further questions on the subject it is best if you write us at support@proudmusiclibrary.com. Is it possible to link a music online advertising license to a promotional video and uploaded to Facebook? What is the difference between an online advertising license and a standard license? Next Next post: What is a royalty-free stock music library?